Wild: Among the deadliest creatures on the island, Tyrannosaurus dominum is a killing machine. 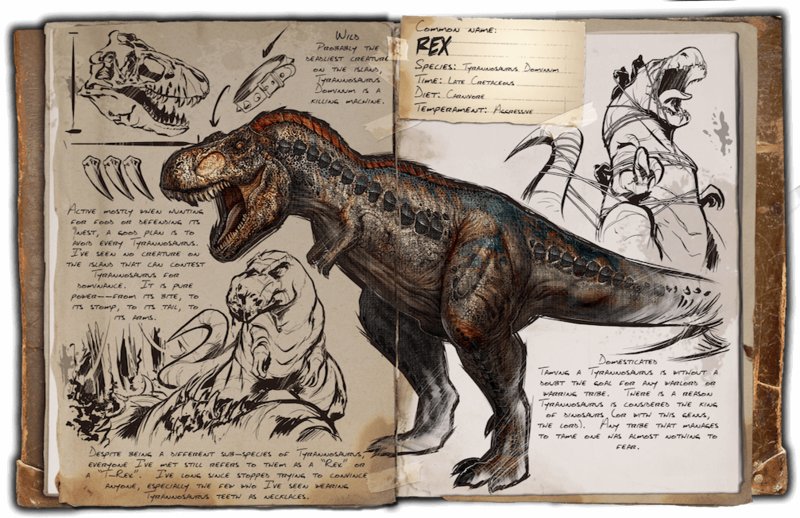 Domesticated: Taming a Tyrannosaurus is without a doubt a primary goal for any aspiring warlord or warring Tribes. There is a reason Tyrannosaurus is considered the king of the dinosaurs (or with this genus, the ‘lord’). A Tribe that actually manages to tame one has almost nothing to fear to challenge their power.